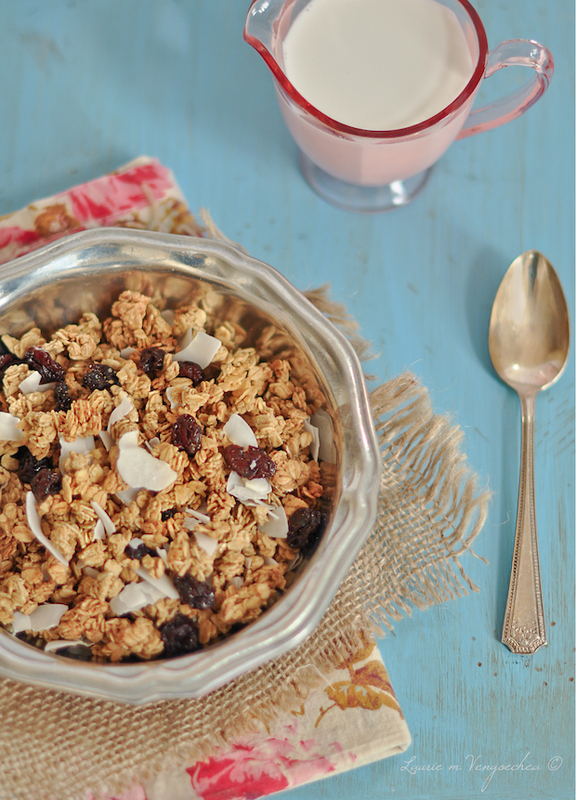 Every day is a good day for granola! We love it for snacking as well as for breakfast! Serve with fresh fruit or over your favorite ice cream.. or just simply with dairy free milk! In a large bowl, add cinnamon, vanilla powder and oats. Mix well. stirring to mix. Divide between two 9x13 or so, baking dish. Bake for 25 minutes stirring constantly so it doesn't burn. Add cherries and coconut, stir. Bake an additional 10 minutes. When granola is cool, store in sealed containers.